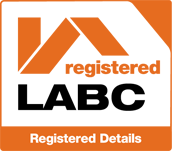 We are proud to offer the most comprehensive training programmes within the flat roof industry. We have a dedicated team that delivers individual and group training sessions on the TuffStuff® installation process, the products within the range and how equipment must be stored to maintain its optimum condition. On successful completion of one of our training courses, installers will be equipped with the skills required to complete flat roof installations to the highest possible standards. To obtain full details of our training course schedule please contact us via telephone on 01977 680250 or click the Enquire box below. We are always available to help and have a strong technical support team in place across the United Kingdom. 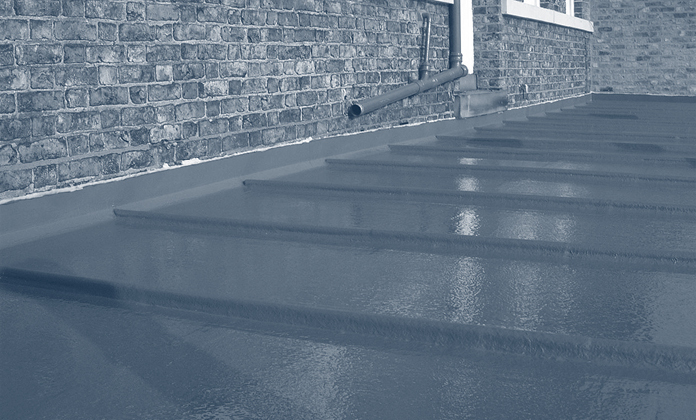 We strive to provide all customers with the highest standard of flat roofing products and continually look at how we can improve the products and services we offer. A vital part of our business is our technical support service. Our aim is to make sure that customers feel confident they have a support network behind them that allows them to get the best out of our products. Our technical support has earned an enviable reputation for its premium quality and ability to resolve customer queries quickly, professionally and to the highest possible standards. View our TuffStuff® Promotional Video Here. Our support team can be contacted via telephone, 01977 680250 or by clicking the Enquire button below. 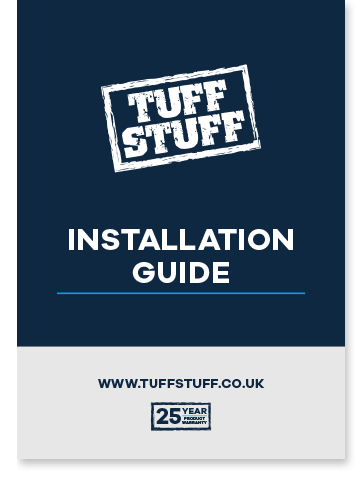 The TuffStuff® Installation Guide provides detailed step-by-step instructions on how to install the perfect GRP flat roof system. Good preparation is critical to the overall quality of the finished roof. Each installation will be different with roofs being in different conditions prior to work taking place. The installation guide contains comprehensive guidance on how to prepare different roof types depending on the external conditions. Correct installation of the OSB3 decking boards is essential to achieve the perfect end result. 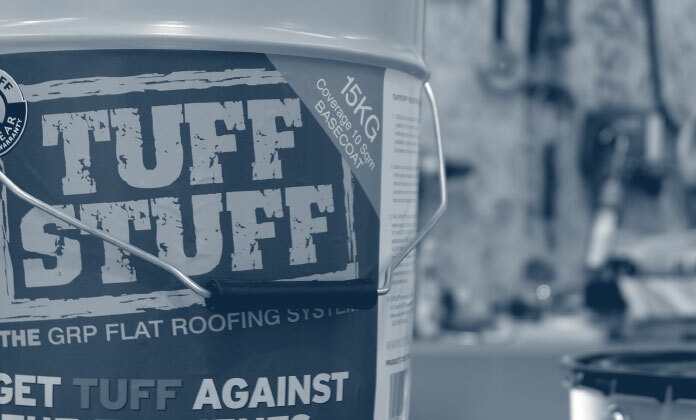 Once the decking has been laid the correct application of TuffStuff® matting and tissue bandage ensures a watertight finish is guaranteed. The installation guide explains in detail how to achieve this. Making sure the correct trims and edges are used will make installation easier and also present the best finish to the customer. The installation guide covers how to correctly install and fix trims and edges for all building types. Getting the perfect coverage of both base coat and top coat resins requires a high attention to detail. The installation guide fully explains how each part of the process should be handled and identifies the exact equipment required at each stage. Following the advice given will create a beautiful looking roof that customers will be proud to have as part of their building.